In Colorado, there is no expungement for criminal records. Instead, Colorado allows you to petition for a permanent sealing on your records. This is different from expungement because your records are closed as if the incident never occurred. Hiring an experienced attorney like Phil Clark to handle the permanent sealing of your misdemeanor is the most important step to expediting this process. Every misdemeanor has its own background, therefore it must be handled differently. Call Phil Clark today to receive a free consultation for your misdemeanor and learn how we can start taking steps to having your misdemeanor record sealed. In Colorado, only certain individuals are eligible for misdemeanor expungement but the majority of all juvenile records are able to be expunged. When your case is being reviewed through the process of adjudication, the court will send you a letter with your court date if your case has been determined to be eligible. The process for petitioning for a misdemeanor sealing is very complicated. It is highly recommended that you contact an experienced Boulder lawyer and have them first determine your eligibility for expungement, and then assess your case to take the necessary steps toward correctly filing the proper paperwork. Don’t live with convictions from past mistakes. It is your right to petition to have your misdemeanors sealed from your personal records. Call Phil Clark now for a free consultation to have your case heard and petition to have your misdemeanor sealed from your personal records forever. Due to the widespread and prolific use of the internet, there are special problems which arise when attempting to seal you record. You can still successfully permanently seal your record in the state of Colorado, which for all legal purposes makes it seem as though no crime was ever committed. However, that does not mean any possible news, forum discussions, social media attention, or other information surrounding the crime you have been charged for online will be removed. Websites are owned and operated by private individuals, and as such when your record is sealed, these websites do not have to remove old articles, posts, or forum discussions. This means that even though your record is sealed, information and facts about your criminal charges can still be found online and viewed by nearly anyone with a simple search engine search. Depending on what is being said or written, defamation and charges of slander can be brought against these websites if they are out of line. But if you were arrested, and a website covered that, they are not required to remove anything even though your record has been sealed by the courts. 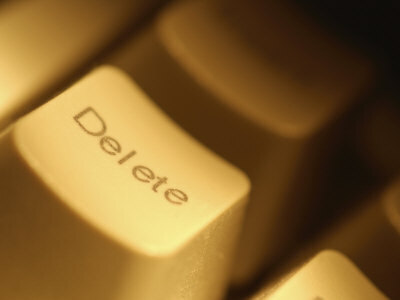 You can, however, individually go through every website one by one and ask the webmasters to remove said content. Nevertheless, this is both laborious as well as uncertain, making the sealing of a record in this day and age extremely difficult to truly achieve. Contact The Clark Law Firm to find out how we can help you move forward with this process.